At less than one inch long, elfin skimmers are the smallest dragonflies in North America. Just that superlative, plus the fact that they inhabit the magical spaces of bogs and fens, and have a delightful name, has endeared them to me. But I’ve only known of their existence since last July, when the naturalist and author Sparky Stensaas led a field trip for us to a nearby fen and also expressed hopes of seeing one. To be honest, although they’ve zipped around in my imagination since that day, I’ve never seen one, and I couldn’t even tell you how to identify them in the field. They’d be shimmering and fairy-like, I presumed, just like my wistful, but not exactly rational, request to the universe that we find one. My official, stated purpose for the day was to offer assistance with plant identification and logistics at the Museum’s first BioBlitz. 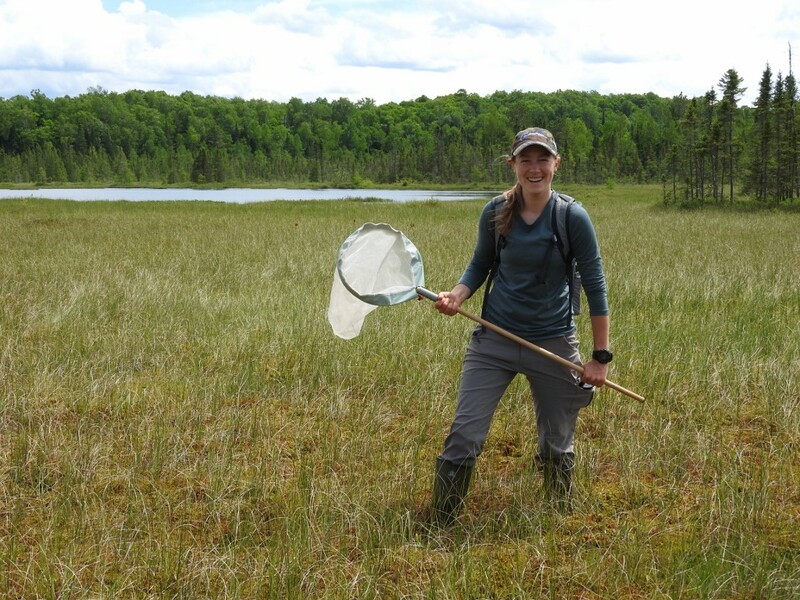 A bioblitz is an intense period of biological surveying in an attempt to record all the living species within a designated area. Most bioblitzes invite the public to join in the fun to learn more about biodiversity (including dragonflies with fanciful names) and better understand how to protect it. 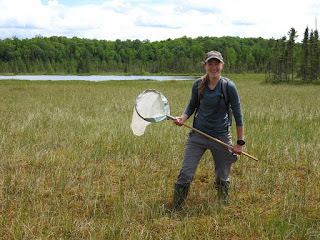 Kaylee Faltys, the Museum’s Curator, had rounded up 13 experts and participants who were interested in exploring Sugar Bush Fen in Northeast Lake State Natural Area. We’d all doused ourselves in bug spray before taking off through the woods and onto the soft, sphagnum moss mat of the fen. Into Kaylee’s bug jars went flies, dragonflies, butterflies, beetles, bees, grasshoppers, mosquitoes, and a single spider. Into my camera went photos of pitcher plant flowers (their petals still dangling like burgundy silk! 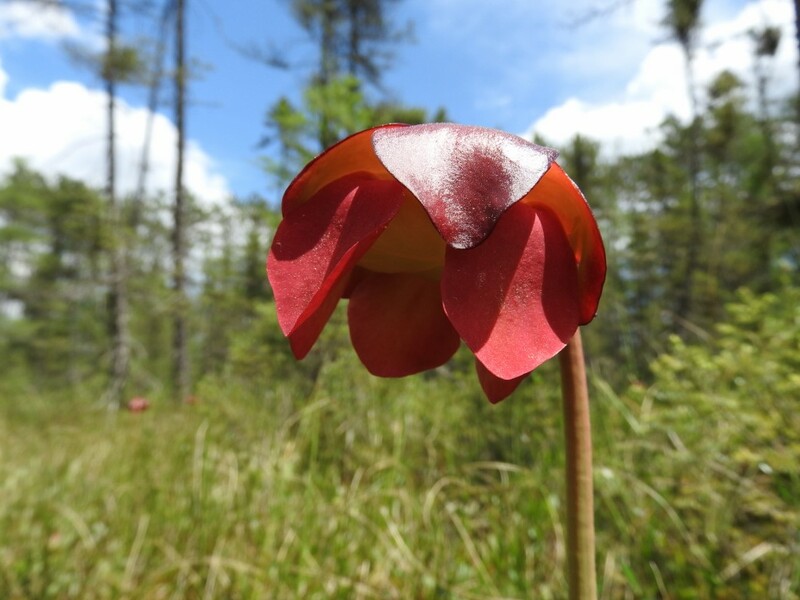 ), puffy tufts of cottongrass, the long-petaled beaks of cranberry (crane-berry), and the dainty pink shoes of lady’s slipper orchids. The fen was a dream. We caught a tiny spring peeper in a bug jar, and admired the frog’s suction-cup toes before putting him back on the hummock from whence he came. We slogged through the shade-less, boot-grabbing sedge mat to reach the enchanted pool of liquid darkness at the center. 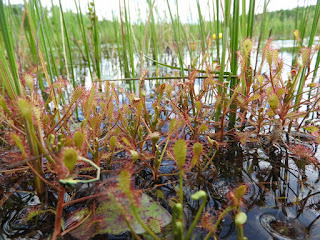 Water lilies dotted its margins, and tiny thickets of sundew, too. Each spoon-shaped leaf bristled with tiny pink hairs, and every luminous hair sparkled with a drop of either sticky sweet nectar or deadly digestive enzymes at its tip. A few leaves were still digesting a six-legged lunch. The graceful, nodding stems of fen sedge brushed our muck boots as we finally exited the wonderland, ready for some shade and a shower. Back at the Museum, Kaylee’s real work began. She started by emptying out the jumbled, bug-filled jars, spreading the wings of dragonflies and butterflies so that they could dry properly, and pinning the smaller insects on white foam. 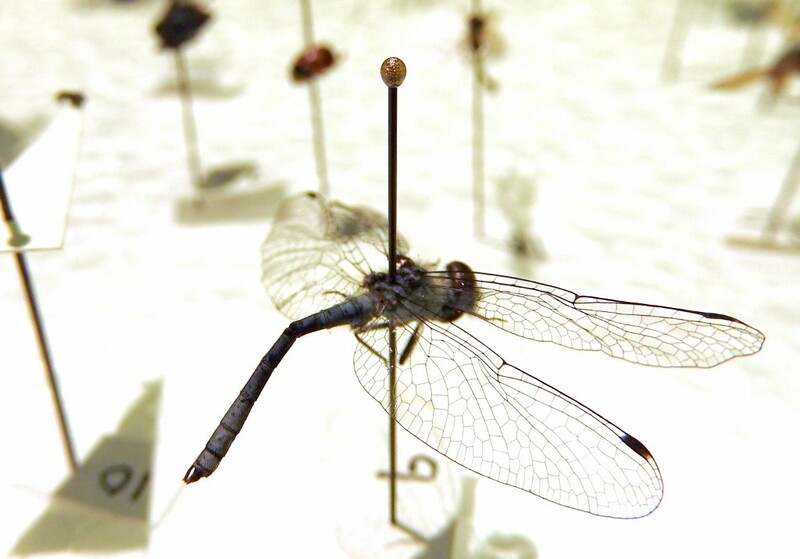 With the specimens preserved, she could then turn to the task of identification. For my part, I uploaded plant photos to the iNaturalist website, and tagged them as part of our CNHM BioBlitz 2017 project, which anyone can explore. His tiny body was pinned in one corner of her white foam square. Having finally done my research, I could tell by his pale blue, pruinose (frosted like a grape), abdomen that this male had matured fully after a shiny black, 10-day adolescence. In life, he would have patrolled a small territory surrounding a single puddle in the fen’s floating mat. Kaylee probably netted him from the bristle of sedges near the fen’s open pond. Not being a strong flyer, he would have perched—clear wings drooping forward—when not chasing off rivals. After mating with a female, he would have guarded her as she deposited eggs into his pool with dainty taps of her brightly striped abdomen. Female elfin skimmers look quite different, and their black and yellow markings are thought to imitate wasps and provide some protection from predators. 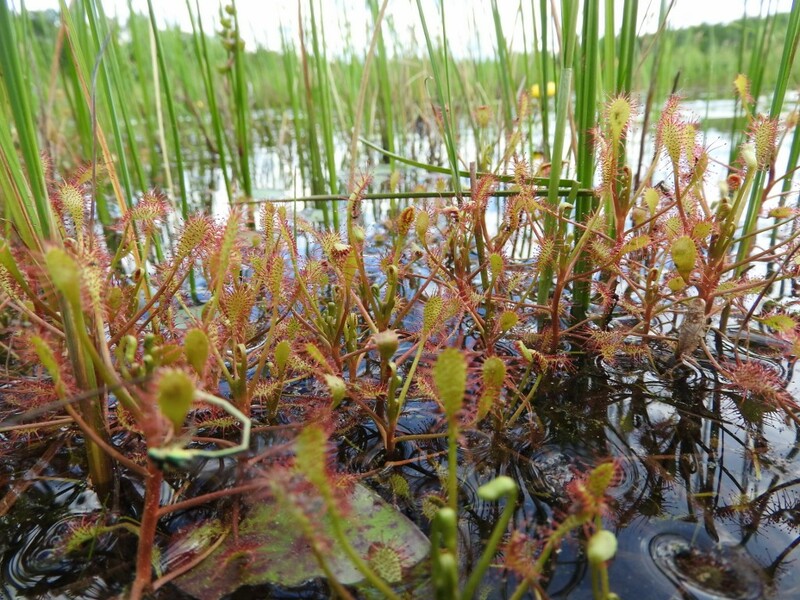 Plants don’t care about warning colors, though, and the skimmers’ size makes them vulnerable to becoming mortally entangled in a sundew’s trap. Now, this elfin skimmer is perched on a pin for perpetuity. His mortal trap was Kaylee’s net. He’s no longer able to take shimmering flights through my dreams. Looking through the microscope at his crystalline wings, frosted body, and sparkling brown eyes, I feel like I’ve been given a precious gift. And yet, by pinning down a glittering zip of imagination and making it real, I feel as though I’ve lost something, too. Adults wearing hip waders and wielding nets stepped gingerly into the wetland. 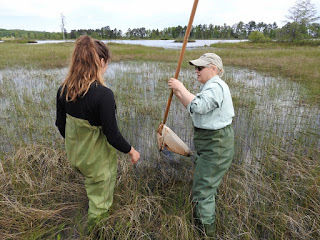 An ecologist had just briefed them on the importance of aquatic macroinvertebrates for studying water quality, and now it was their job to catch some critters. 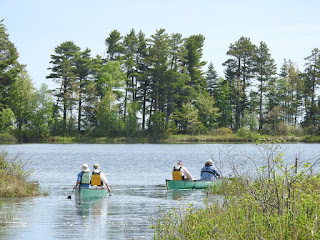 The public boat landing at Bark Bay Slough State Natural Area near Herbster, WI, was a gorgeous setting for this adventure. Bark Bay Slough is a freshwater estuary where the relatively warm, sediment-laden waters of the Bark River meet the clear, icy waters of Lake Superior. The lagoon is mostly separated from the lake by a sandy baymouth bar, making it a peaceful place to study water quality. Within this unique physical setting are equally delightful plants. Mats of floating vegetation and peat soils creep in from all sides of the lagoon and support both bog and fen communities. The students in hip waders were participants in a Wisconsin Master Naturalist Volunteer training course. For an entire week they were assigned to explore beautiful places with natural resource professionals and learn a little bit about everything. Some folks take the course purely as personal edification, but most students are planning to apply their newfound knowledge to volunteer or professional naturalist experiences. My job, besides coordinating logistics and piping in with cool facts, was to take photos. So as a couple of students waded across a knee-deep channel to sample insects west of the landing, I followed behind with my camera held high. After pushing through the cattails and finding stable footing, I looked up. The mat of fen vegetation spread out before me like a magic carpet, floating on water instead of air. From this carpet rose a thick bouquet of flowers. 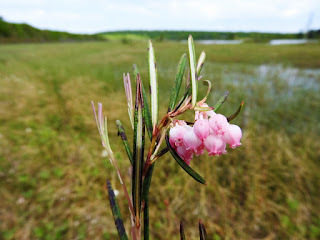 Clusters of delicate, pink blossoms drooped from the graceful, arching stems of bog rosemary. Thread-like arcs of fen sedge filled in between. 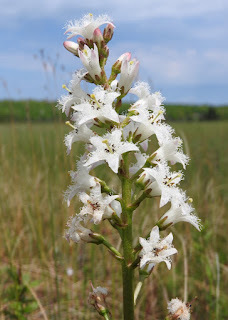 Rising above them were the frilly white flowers of bog buckbean. Its beauty was the crowning jewel. 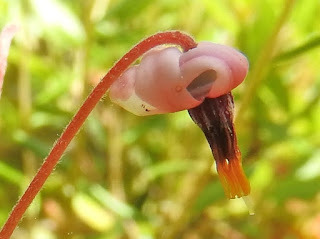 Despite its slightly hokey and incorrect name, bog buckbean is one of the most magnificent members of a fen community. 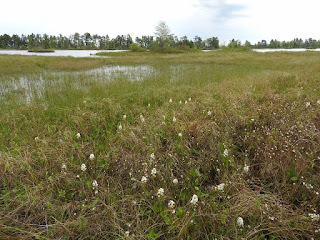 Bogs and fens are often confused, so that part of the name is no surprise. 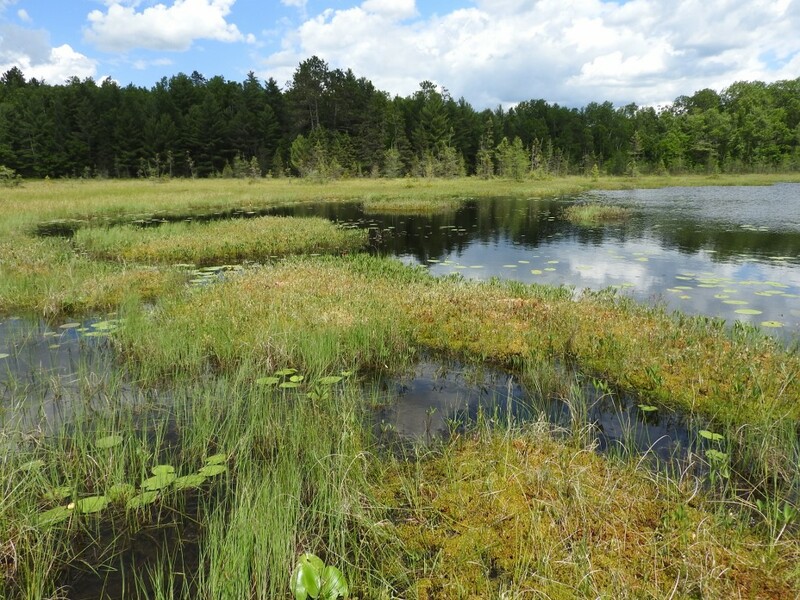 Bogs are peaty wetlands that receive all or most of their water from precipitation rather than from runoff, groundwater or streams. They are characterized by acidic soils with few nutrients. 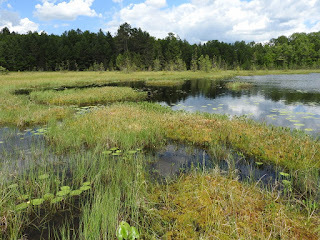 Fens are also peaty wetlands, but they receive input from groundwater, runoff, or other sources, which decreases their acidity and increases nutrients. The water of this peatland in the Bark Bay Slough meets and mixes with water from the estuary, which makes the bog buckbean’s habitat a fen. The “buck” part of the flower’s name may be a corruption of the name Puck, who was a clever, mischievous elf in old English folklore. According to one account, the children of Devonshire, England, used to address Puck before traveling through the forest after dark, to ask for protection. 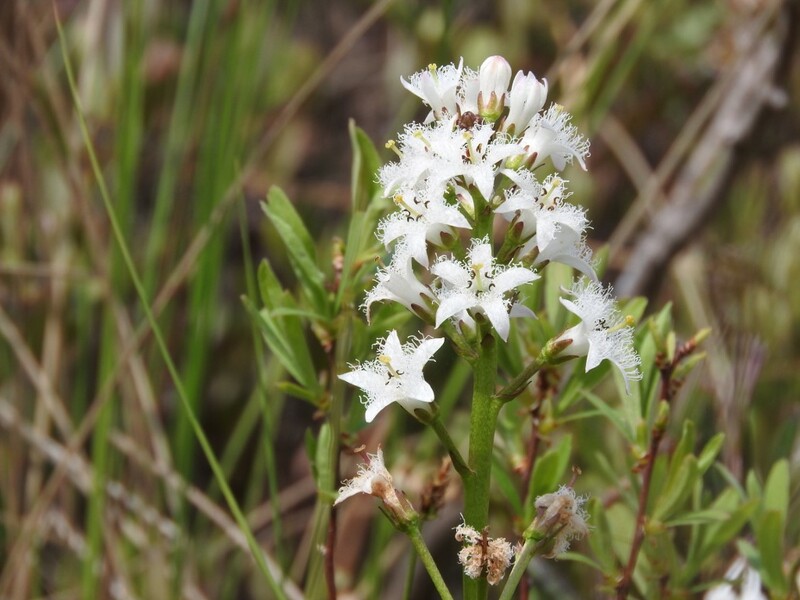 How the character and the plant came together is still a mystery to me, but this does bring up the fact that bog buckbean is found in wetlands around the globe! From North America to northern Asia, Europe, and Japan, this beautiful flower remains the same species. It’s a small world. Also unusual is that Menyanthes trifoliata is the only flower in its genus. One alternative name of bog buckbean is bog hop, which refers to the English use of its bitter leaves to flavor beer. Those leaves are divided into three oval leaflets, and they must have reminded someone of the shape of broad beans from their garden because the “bean” in this plant’s name refers to their shape. It’s the magnificent flowers, though, that really steal the show. The tall, cone-shaped inflorescence holds many feathery, white, star-like blossoms. The feathery petals aren’t a simple vanity. Pollination is carried out by bumblebees and other big bees. Small insects aren’t effective pollinators, so lacy fringes on the petals protect the flower’s valuable nectar from freeloaders. The flowers make another investment in cross-pollination as well: some plants have a long pistil (female flower part) and short stamens (pollen-bearing flower parts), and some plants have the opposite combination. If a bee gets dusted with pollen from a long stamen, that pollen won’t rub off on another flower with a long stamen. Instead, the pollen will be at the perfect height to cross-pollinate a buckbean flower with a long pistil. Looking back at my photos, all the buckbean flowers in this fen seem to have five, short, violet-colored stamens and a tall, yellow pistil in the center. Buckbean spreads more through rhizomes than seeds, so it’s quite possible that all of these flowers are part of the same wandering plant, connected by a network of horizontal stems. After photographing the flowers and students, I bounced a few times on the floating mat of the fen, and wandered back to the group at the landing. Naturalists with nets had caught some neat little insects. After lunch, we paddled out to the baymouth bar and walked across to Lake Superior. 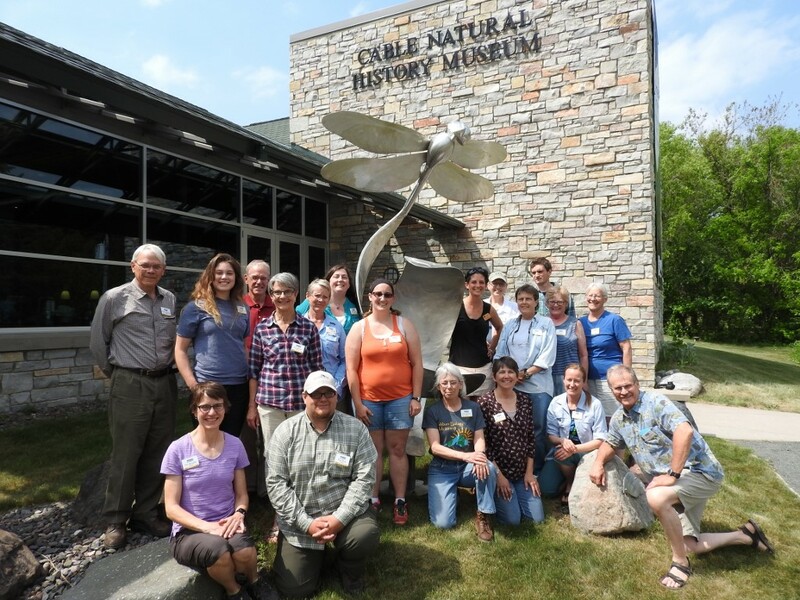 Geology, ecology, botany, biology, and people: all had come together for a special day at a special place. “Perhaps the loveliest flower of the season is the wild rose, and differences in varieties and habitat allow their season to be quiet extended. While color may vary from deep pink to almost white, the typical rose fragrance varies little. Simple perfection personifies the rose. I love to meet old friends when I’m on a walk in the woods. Not human friends, mind you, but plant friends. During spring and early summer, when the undergrowth isn’t too thick, I often spot the distinctive shapes of honeysuckle bushes. 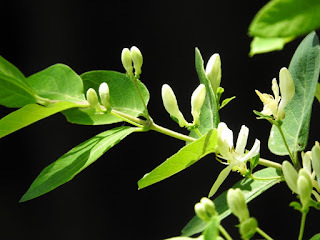 Northern fly honeysuckle, (Lonicera canadensis), is an almost fragile looking native shrub with smooth oval leaves that line up in pairs along the twigs. If you’re lucky, you might spot the honeysuckle’s pale yellow flowers dangling in their delicate pairs. Their fluted shape with a long nectar tube is a clue that hummingbirds love them. The flowers don’t last long, though, and are soon replaced by two green fruits, shaped a little bit like tiny footballs, and joined at their pointy ends. The berries ripen to a vibrant shade of red and really pop in the cool shade of the forest. Birds, especially robins and cardinals, love them. Sometimes (too often!) the old friend I meet in the woods is more of a “frenemy,” or a plant that I have a love-hate relationship with. I grew up with Tartarian honeysuckle (Lonicera tatarica) in my backyard, and spent many days gathering the round red and orange berries to use as pretend food in my playhouse. Now I know that this childhood friend can be quite invasive. A native of China, Manchuria, and Korea, it left behind its native predators when it came here, and tends to run rampant in our vacant lots and deciduous woods, creating impenetrable thickets in the worst cases. It’s joined by several other species of non-native invasive honeysuckles that all share the same invasive tendencies. While native and non-native honeysuckles share some characteristics, it’s not hard to tell them apart. All have pairs of white, pink or yellow flowers with a nectar tube and fluted petals. All have paired leaves (“opposite arrangement” to botanists,) and all have red or orange berries. The invasive honeysuckles get much bigger and bushier, though, and some species have pointed, serrated, or fuzzy leaves. Their abundant flowers are held upright. Plus, the berries on invasive honeysuckles are round instead of football-shaped. The surest way to distinguish the honeysuckles in any season is to crack open a twig and look at the pith. The pith is the soft, spongy tissue in the center of the stem. In native honeysuckles the pith is pure and white. In non-native species the pith is either brown or hollow. Native honeysuckles have a white pith. Non-native honeysuckles have a hollow or brown pith in the center of their twig. 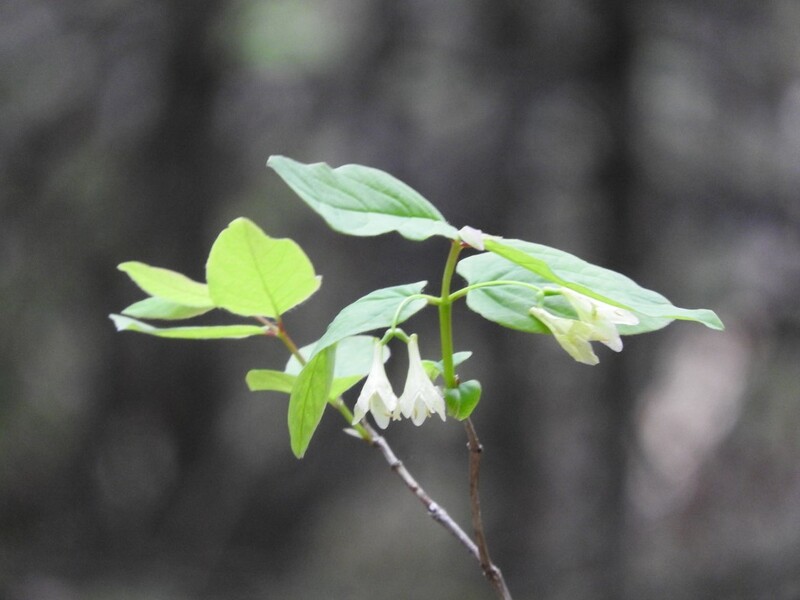 Like many invasive species, the Eurasian species of honeysuckles tend to crowd out native plants and provide a lower quality food source to native animals. As birds and mammals eat the berries and disperse the seeds, non-native honeysuckles quickly invade open woodlands, old fields, and other disturbed sites, and form a dense thicket that prevents other native plants and trees from growing. The northern fly honeysuckle is one that gets pushed out by its cousin. With lower diversity, the wildlife cover is reduced, and cardinal nests in particular are less successful, despite the thicket. Fewer insects in the honeysuckle reduce food sources for many warblers and flycatchers. 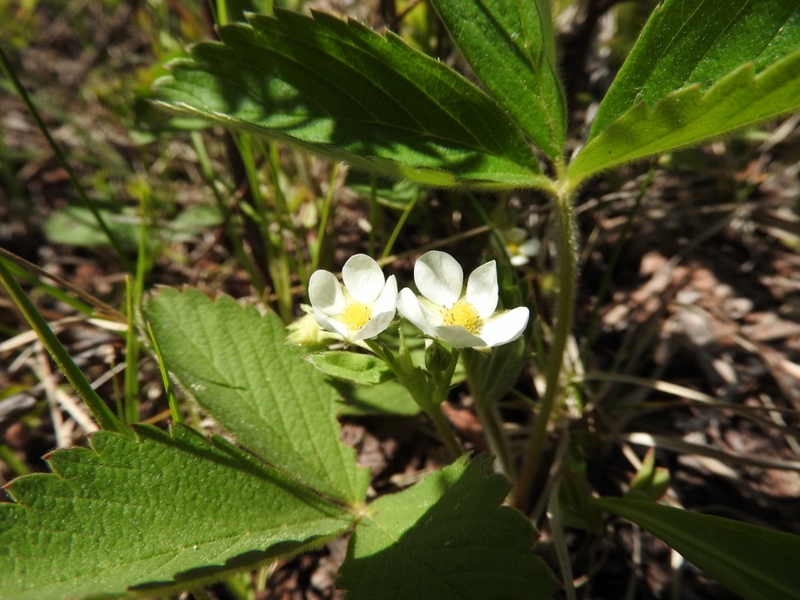 Although abundant, the berries actually contain less fat and energy than their native counterparts. When cedar waxwings eat too many red honeysuckle berries, the pigment tints their normally yellow tail tip and turns it orange. On the flip side, male cardinals who eat honeysuckle may be brighter red, even though they are less fit. Females have a harder time determining the healthiest mates. As you pass yard after yard surrounded by Eurasian honeysuckle hedges in full bloom, it’s easy to imagine how this invader got here. It was first introduced into North America as an ornamental in 1752! Many invasives got their start in the nursery trade, either as the main attraction or a hitchhiker. This June is Wisconsin’s 13th Annual Invasive Species Awareness Month, so it’s a good time to learn more about what you can do to help. Prevention is worth an ounce of cure, so they say, and it is definitely easier to keep the weeds out than to get rid of them once they’re here. Do a little research before you buy new plants from a nursery, and try to choose to plant native species. Use those boot brushes at trailheads to make sure that you aren’t carrying seeds from trail to trail. Clean your equipment between locations, especially if you know that you’ve just been working in a place that has invasive species. Equipment includes boats! Aquatic invasive species are a big threat to Wisconsin lakes and streams, and making sure to clean, drain, and dry all of your equipment can help stop their spread. The Wisconsin DNR website has great information and Best Management Practices for a variety of situations to make sure that we aren’t accidentally spreading a new plague. 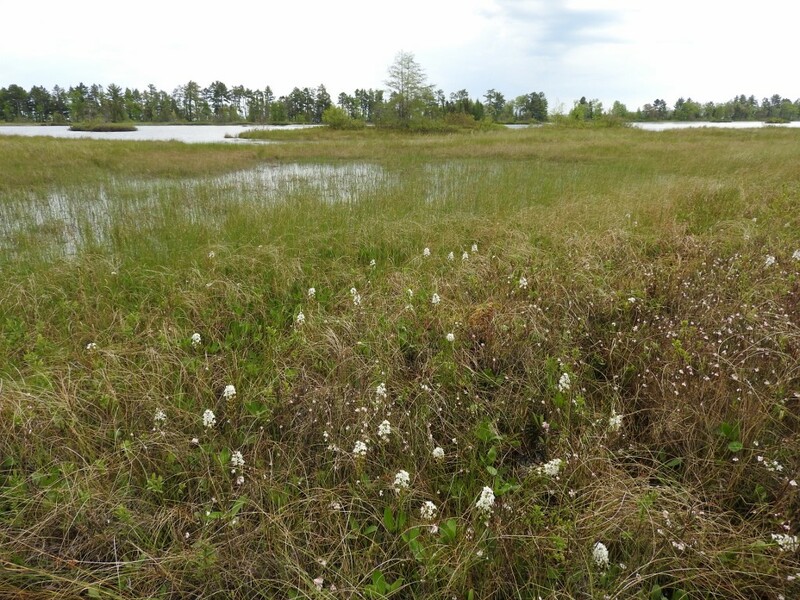 If you discover an invasive species on your property or public land, contact Adam Haecker, Coordinator for the Northwoods Cooperative Weed Management Area (NCWMA) by calling 715-373-6167 or emailing ahaecker@bayfieldcounty.org. He, or a variety of the local land management agencies, can help you set up a management plan to control the offending invader. This June, be sure to enjoy all of the native flowers that brighten up our woods, and then protect their future by doing your part reduce the impact of invasive species. When I found them, I was looking for lichens. Lichens are those pale green (and sometimes yellow, orange, or bluish) things that grow on trees and rocks. They aren’t a single thing. There are many types of lichens, and they are examples of partnerships between fungi, algae, cyanobacteria, and a host of other little critters. We’re highlighting them in our Better Together exhibit this year. Not everyone knows what lichens look like, though, so I wanted to gather examples for a little display. My search took me through a sun-specked hemlock forest. Blackburnian warblers, ovenbirds, and vireos twittered from the treetops. A broad-winged hawk gave its high-pitched “kee-ee” alarm whistle from a secluded treetop, probably defending a nest. Across the ravine, a surprisingly loud, clear, insistent stream of tinkling notes gave away the position of a winter wren. These tiny, mouse-like birds dance around the forest floor, fallen logs, and tangled root masses. From a distance, they look like a wind-tossed leaf. They’re so hard to find and focus on that I’ve hardly ever even examined them through binoculars. Ever hopeful—my camera ready—I followed the fluttering up to a perch on a weathered stick, then down to a mossy log, and then back to a different stick. 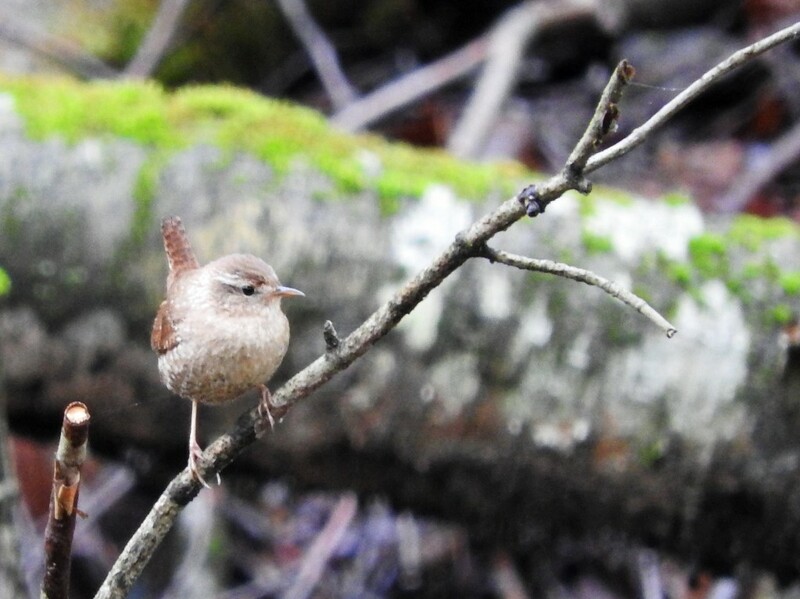 Click, click, click…I finally captured the blur of a winter wren. 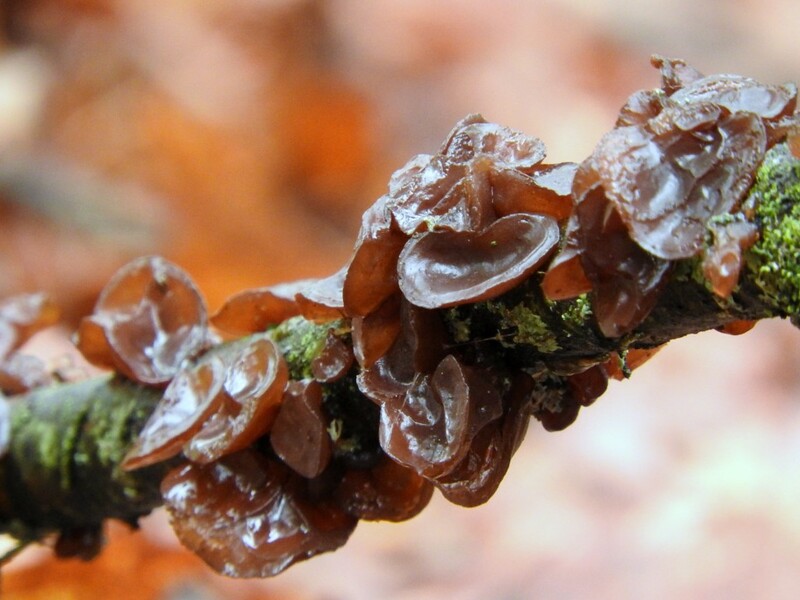 Unlike some fungi, tree-ears do not attack live trees. They are saprobes that feed only on dead wood. The fungi do contribute to destruction, though, because they can absorb 63 times their dry weight in water. During our recent wet weather, these fungi became waterlogged and pulled down the already weakened dead twig. Despite all these distractions, I actually did manage to find some lichens. I peeled a leafy green lichen disk off a fallen aspen tree, picked up some twigs covered in colorful crust lichens, and sliced off a few flakes of bark with powdery lichen coatings, too. With my basket just about full, there was still one more lichen I wanted to find: a pelt lichen that grows on the ground. Their leathery, brown thalli (leaf-like parts) often form patches among the moss, so I began searching the ground as I walked along the cut bank of the trail. After just a few feet, I spotted a patch of their dark, undulating thalli. As I reached down to pry them up, another shape materialized in my line of vision. When I found it, I was looking for lichens. The pale brown cylinder was dissected by ridges and pits, almost forming a honeycomb pattern. It was held erect on a smooth little stem, and the whole thing was only a few inches tall. I couldn’t believe my eyes. For the six years that I’ve lived up here, I’ve always raised my eyebrows in disbelief and nodded my head dubiously when folks told me they found morel mushrooms nearby. I’m out in the woods quite a bit, and I’d never seen one up here. They’re more common even a little farther south where there is a wider array of deciduous trees and a little bit richer soil. And, of course, no one would reveal their special spot so that I could see for myself. But there they were. Four little morels all told—unmistakably the real ones and not the darker brown false morels that turn to jet fuel in your stomach. In her fantastic book, “Mycophilia,” Eugenia Bone writes that “Morels are probably the most fetishized of all wild mushrooms.” If people know how to identify and eat just one mushroom, it is the morel. There is more to appreciate about morels beyond their delicate texture, rich flavor, and ability to hold butter. Most morels (there are several species) are thought to be mycorrhizal. This means that they colonize the root system of a tree. The fungal mycelia increase the water and nutrient absorption capabilities of the roots, and the tree shares some of its sugars with the morel. 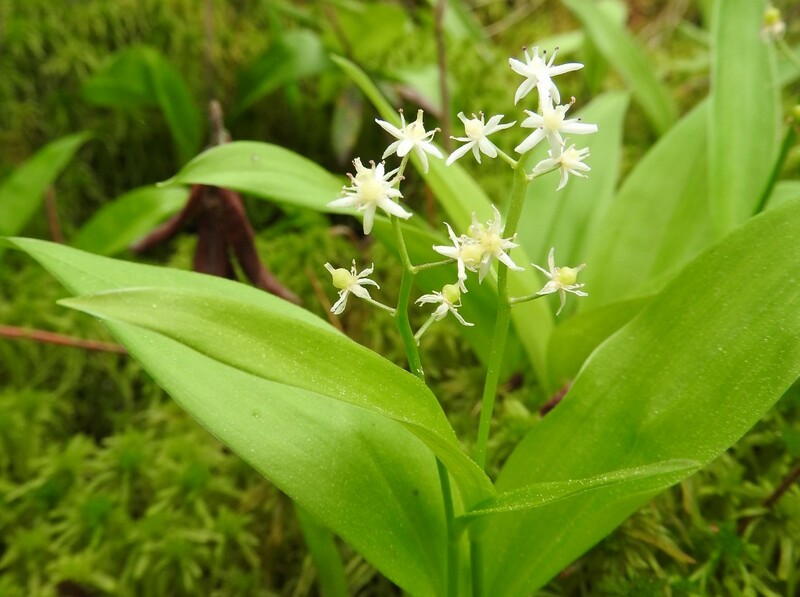 It’s a classic partnership, and one that’s repeated throughout the forest with various combinations of plants and fungi. In fact, scientists estimate that 90% of plant species on Earth form a similar mycorrhizal relationship with fungi. Maybe it’s appropriate then, during my search for lichens, to happen upon this additional example of a photosynthetic organism (the tree) partnering with a fungus (the morel). Arriving home, I gently sliced open the morels lengthwise. This is an important step in the cooking process because confirming their perfectly hollow stem is the best way to avoid misidentification. As the tidbits cooked gently in the skillet, I uploaded photos onto my computer. What wonderful things I found while out looking for lichens!